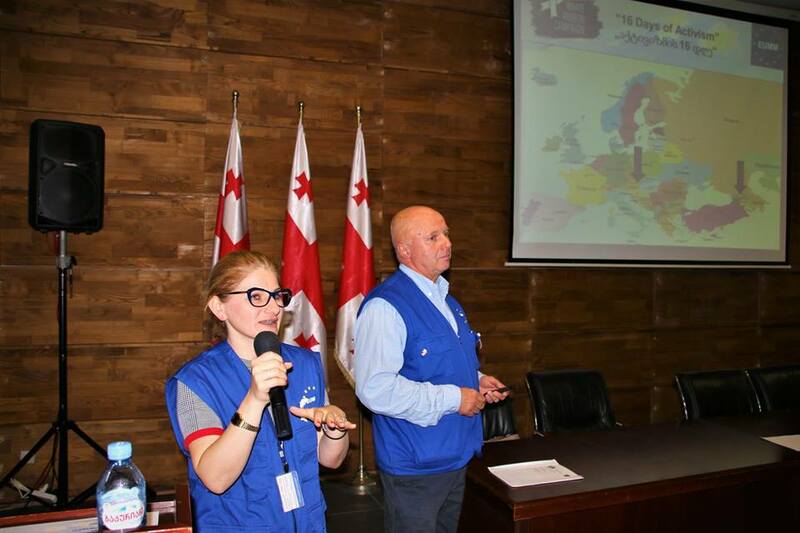 The EU Monitoring Mission (EUMM) Georgia is proud to have taken part in this global campaign. We believe that the 16 Days of Activism Against Gender-based Violence makes a real difference; raising awareness, engaging youth and helping to move the dialogue about violence against women and girls into the public domain - all key to preventing violence. During the campaign, the Mission visited 29 schools along or near the Administrative Boundary Line running interactive activities for youth and engaging in discussions about gender-based violence, gender equality and empowering women and girls. Art as a form of communication has a unique ability to transcend cultural and linguistic boundaries. The Mission organised a drawing contest on the topic of violence with children in Shida Kartli. This wonderful artwork was then displayed in Gori theatre where four hundred children were brought by EUMM from their communities along the Administrative Boundary Line to the theatre to enjoy a production of Little Red Riding Hood. Children were also brought from Bershueti, Dvani, Ergneti and Kveshi to participate in a football tournament in Gori, held in the spirit of equality, peace and tolerance within communities. 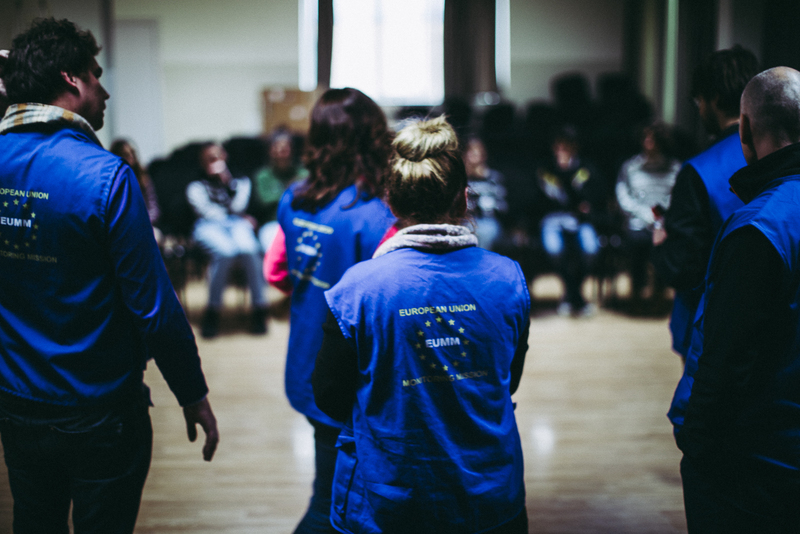 Other activities included discussions with security personnel at both the Military Academy in Gori and the Cadet Lyceum in Kutaisi, a roundtable organised by the Field Offcie Mtskheta and an information sharing meeting on gender-based violence organised by the NGO Imedi in Zugdidi. As part of the campaign, 200 EUMM Monitors wore white ribbons and engaged in conversation with conflict affected women and men about violence against women and girls, and how the white ribbon symbolises their personal pledge not to commit, condone or remain silent about violence against women and girls. On the Human Rights Day, let us remember that the rights of women and girls are human rights. The protection of human dignity is at the core of human rights, and violence is an affront to that dignity. As such, let’s fight violence against women and girls not only for sixteen days, but every day!